Bellerive Country Club in St. Louis is the host for the final Major of the year, the USPGA Championship. We’ve got a stellar field and with the course looking receptive after plenty of rainfall in the build-up, we can expect plenty of birdies. Here are our golf expert’s best golf bets ahead of Thursday’s first round. All the main pretenders warrant plenty of respect this week and market leader Dustin Johnson is probably the one they’ve all got to beat at 8/1. He shot a closing 64 at the Bridgestone Invitational on Sunday, showing his game is in great nick. There are two main issues with DJ this week however, firstly his price, which is pretty skinny considering the quality of field – only two of the top 100 in the world are not playing this week. While that won’t put everyone off, I’m more concerned by the set-up of the course for him. Bellerive very much suits a player who can shape the ball from right to left and Johnson has developed a fade as his go-to shot. At 8/1, I’m happy to pass him up in favour of another American bomber, Brooks Koepka. Many knocked Koepka’s maiden Major victory last year claiming Erin Hills was perfectly set up for him, and in truth it probably was but he showed at Shinnecock Hills in June, that he has many other strings to his bow. We all saw how tough Shinnecock was and to come out on top really proved Koepka must be talked about in the same breath as the tour’s elite. As mentioned, the course has seen a considerable amount of rain over the last few days, and that should suit Koepka’s game perfectly. The American hits the ball a country mile and his towering ball flight should mean he’s able to get the ball to come down softly on the wet greens. 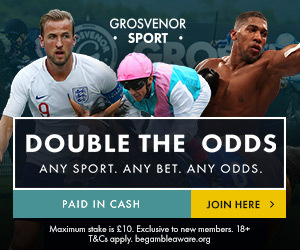 I think he rates a cracking each-way bet at 20/1 with Grosvenorsport.com. Of all the stats ahead of the tournament, the one that really sticks out is recent form. There have been few recent winners who have come into this in poor form. With this in mind, my second selection is Tony Finau at 40/1. The strong swinging American is the only player in the world to finish inside the top 10 in all of the Majors this year. Such consistency shows he is more than capable when it comes to playing in the top events of the year and he racked up another top 10 at the Bridgestone last week. He is one of the longest on tour which can only be an asset with the course expected to play on the long side as a result of the pre-tournament rain. His only issue is his putter which has failed to get really hot this year and is the chief reason he’s failed to get over the winning line so far. He’s guaranteed to give himself plenty of good looks with how well he’s hitting the ball at the moment and if that putter warms up he’s almost certain to be bang there come Sunday.